The Washington Nationals have confirmed reports that the team is looking to selling the naming rights to National Park. According to the Sports Business Journal, Korn Ferry, a search and advisory firm, and MLB Advanced Media will seek interested parties who want to partner with the team to rename the ballpark near the Navy Yards. This is not the first time the team is exploring sale of the naming rights. According to a 2014 Washington Post article, the team hired another agency to possibly secure a deal in 2008. The Washington Redskins signed a 27-year deal for $205 million with FedEx in 1999 for the naming rights to the football stadium. The deal for the Washington Capitals home arena, Verizon Center, is set to expire in 2018 and will not be renewed, according to a 2015 report from Sports Business Daily. A deal for the name at Nationals Park could be very lucrative for the team. The Atlanta Braves secured a 25-year agreement with SunTrust for more than $250 million for their new stadium, set to open in 2017. The New York Mets have a 20-year deal with Citi Group for $400 million for Citi Field, which debuted in 2009. 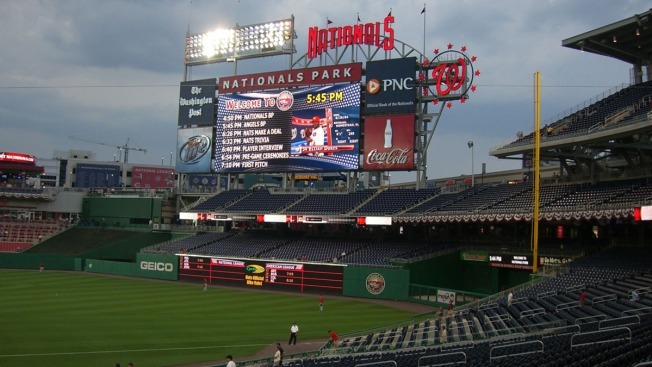 One expert said a Nationals Park naming rights deal could net $10 million to $15 million per year over the course of the deal.